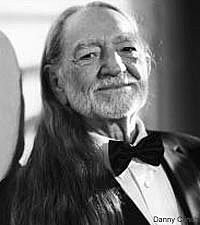 Willie Nelson has enjoyed decade after decade of career success ... but his track record in the marriage department hasn't been as great. Still, that's not something that bothers the iconic singer/songwriter. It just means he has more friends! Willie says he first learned how to go after what he wanted during his time as a door-to-door encyclopedia salesman, an experience that definitely helped him in his pursuit of a music career. He doesn't consider his ambition and drive as selfish, though, because there are lots of people counting on the success of his career, including seven children and five wives, for whom he still feels responsible. "I know what I wanted," Willie tells the UK's Telegraph newspaper. "I was hungry. Every day I had to keep going for it. You don't have to be selfish, because your ambition and drive is for your family members as much as for yourself. Along the way you pick up wives and kids, and you are responsible for them. You don't discard them. There is no such thing as ex-wives, only additional wives." Willie is back with a new album project, 'Country Music,' and in a nod to his favorite pastime, the CD was actually released on April 20, the unofficial international holiday for pot smokers. He tells the New Yorker magazine that when he realized that, he thought to himself, "Well, someone was thinking!" He also divulges that his home studio is built on a golf course outside of Austin. The name of Willie's musical refuge? The Cut and Putt.